When many people choose their antique or reproduction fireplace, they go for a style that complements their decor, or perhaps the period of their house. Warm stone or cool marble are always popular, as is a natural-looking wooden finish. But perhaps you’re looking for a real statement piece? If you want a fireplace that truly adds interest, an elegantly understated fire surround may not be the right choice. We’ve already looked at how dramatic dark marble can have a fabulous effect on a room. How about going even further, and trying something completely different…? 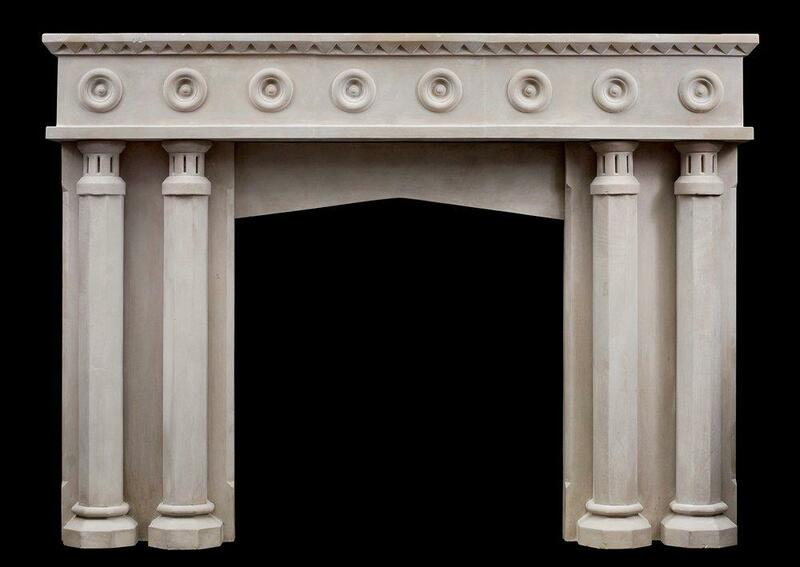 Here are a few of the more extraordinary reproduction fireplaces from our collection. Metal is a really underrated material for the fireplace. We use it a lot for grates, fenders and backs, but how about the fire surround itself? 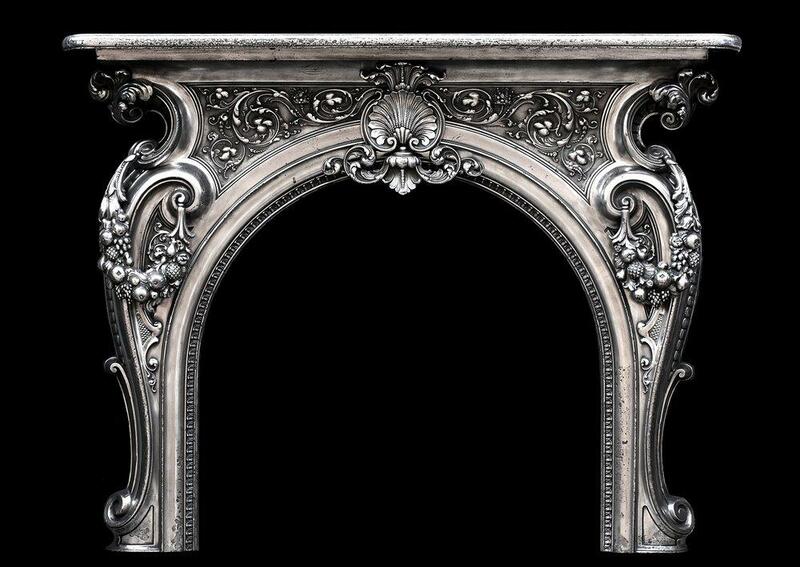 This elaborate French fireplace, dating from the nineteenth century, is made from polished cast iron. The detail is simply stunning, comprising rich foliage, fruits, and scrolls, leading into an ornate central shell motif. Its elegantly curving shape gives the natural subjects a beautiful grace and flow, with none of the sharp lines we’d expect from a metal fireplace. Please note – the photograph shows the fireplace in its pre-restoration condition. 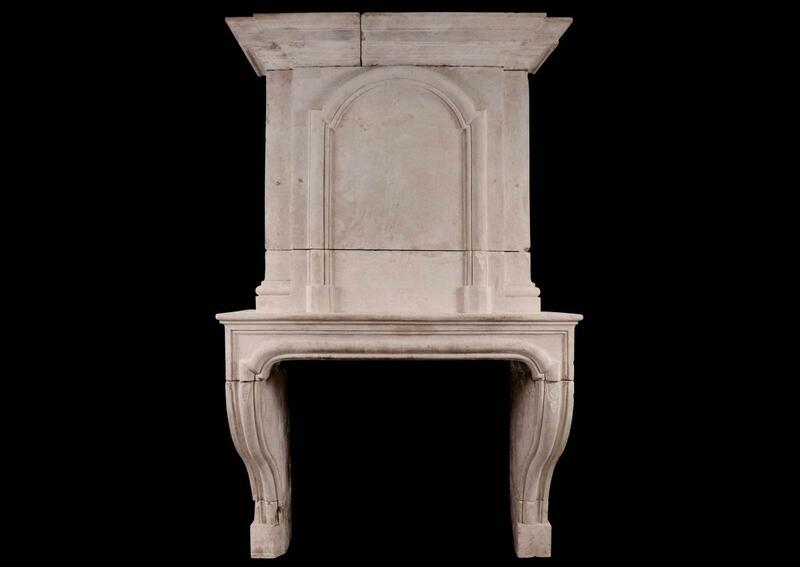 This more modest fireplace dates from the late nineteenth century. 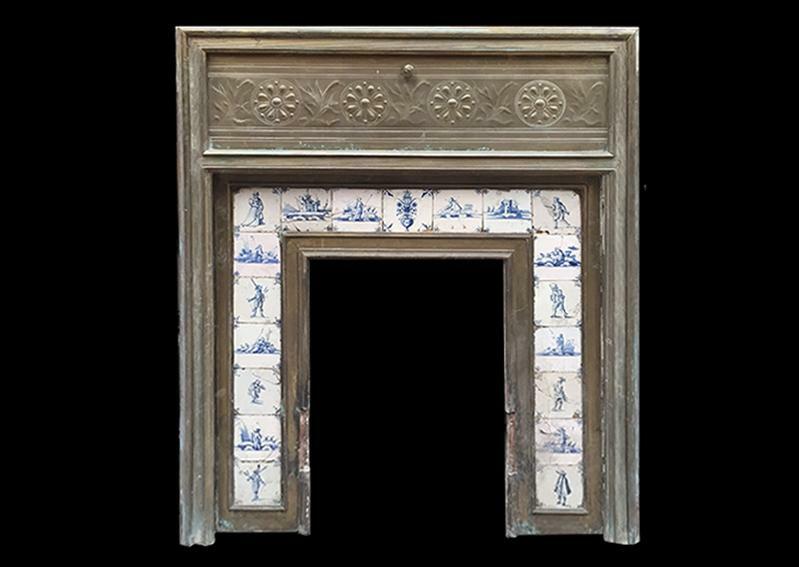 The fire surround is made from brass, a very unusual choice; and its rather stark design is softened by the delicate Delft tiles on the insert. A perfect, quirky little fireplace for a smaller room such as a bedroom or study. 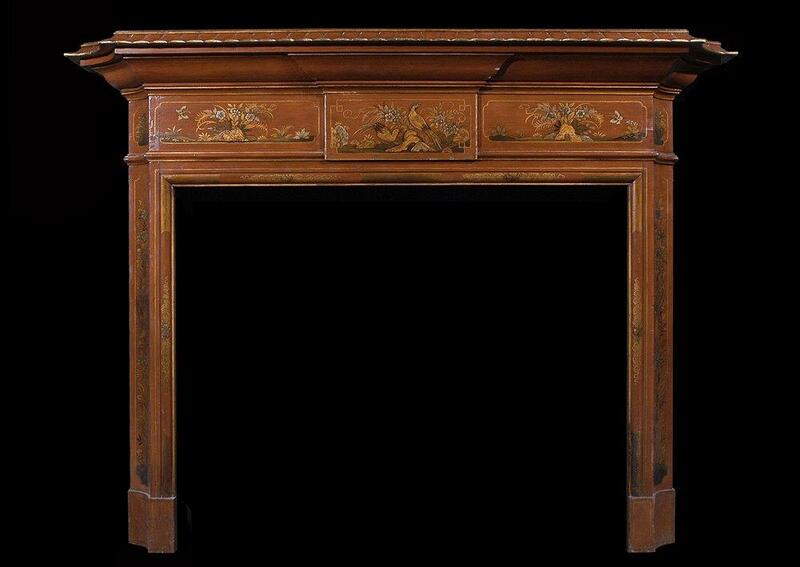 If you’re looking for a true rarity, a subtle statement piece, we love this nineteenth-century wooden fireplace in the manner of Chippendale. 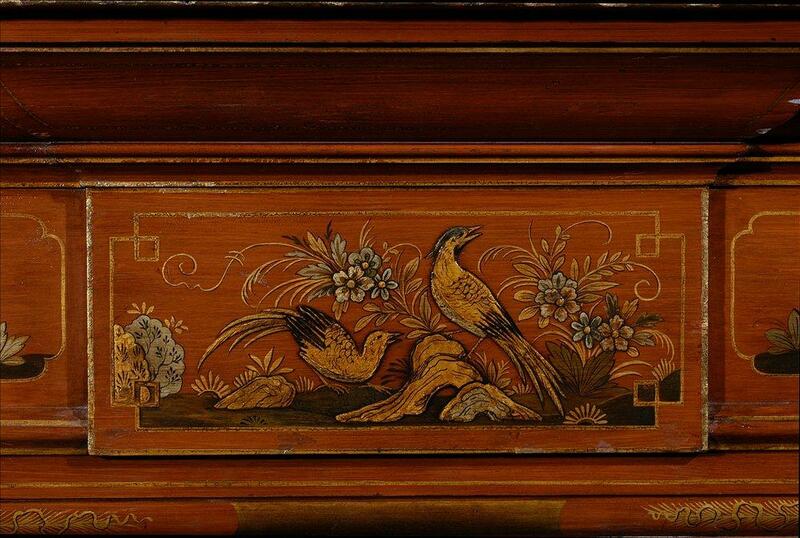 The “Japanned” design depicts peacocks and foliage with vibrant gold leaf, making this fire surround a real work of art. Japanning is the Europeanised version of Asian lacquerwork, popular here since the seventeenth century. Resin is applied in heat-dried layers and polished to give a glossy finish. 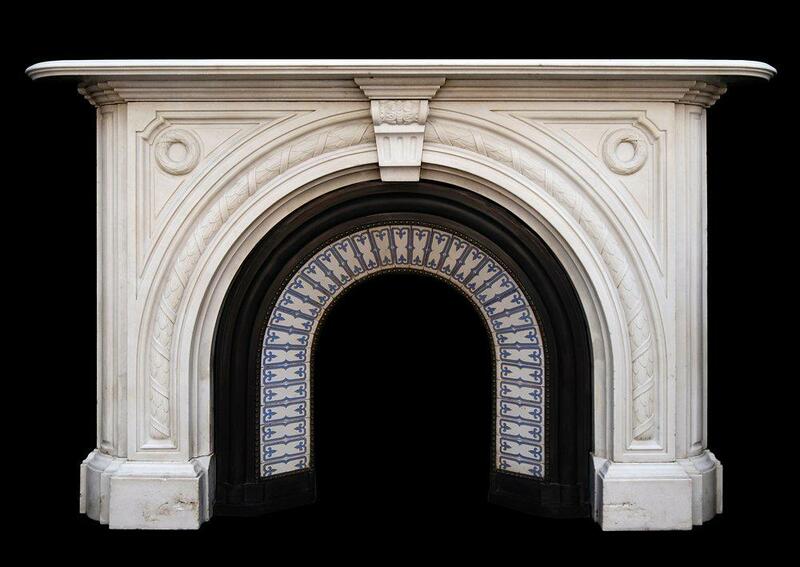 For a real piece of English eccentricity, how about this architectural fireplace? Made from limestone, the frieze is simply decorated with roundels, and supported by four hexagonal columns. A fantastic choice if you want the fire to really dominate the room. In a similar vein, here’s another Victorian fireplace that demands attention. Demonstrating that Statuary marble does not have to be discreet and elegant, this is a large and impressive piece with an unusual arched design. An interesting point about this fireplace is that there is a lot of architecture for a relatively small insert. Not the fireplace to go for if you want a vast, roaring fire – but if you are looking for a statement fireplace, this is a spectacular option. We love it when a weird and wonderful fireplace joins our collection, and we hope that these examples have inspired you to think outside the (fire)box. 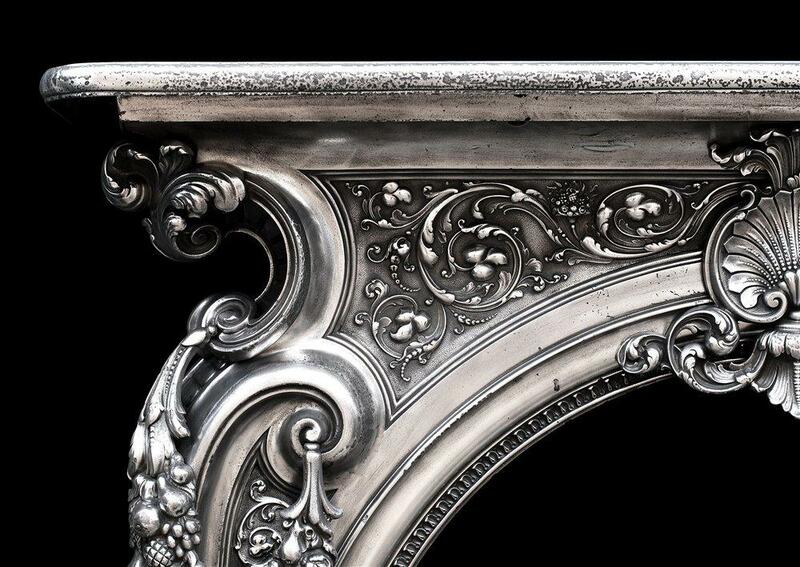 To find out more about our range of unusual antique fireplaces and reproduction fireplaces, please get in touch.